The program Motion Graphics is designed for the people who wish to make a career in the field of graphic design, multimedia, content creation and motion graphic content. Motion graphics makes the content in digital format allow to present it in a more convenient and acceptable format. Social media sites are the best example that succeeds in getting mass traffic using motion graphics clips or videos. Here I’m going to tell you 10 Things about Motion Graphics You Have to Experience It Yourself. Animated Info graphics: Motion Graphics present your data more effectively. It helps to control the flow of information in such a way that is widely accepted and convey your message that looks interesting to folks. Bring Quotes to Life: You have seen people every day who like to share text and quotes on social media sites. You can add life to your typography, color and photography text or quotes using motion graphics. Slides make on motion graphics can attract more and more visitors to your page. Real-Time Updates: Brands usually upload information on social media sites to promote their events. Instead of showing text only and static images moving images with text looks cool. Posting slides made using motion graphics can attract more clients and helps to make your event successful. Highlight your Product: Motion graphics can help your brand to touch the endless possibilities. It allows you to highlight your product in a way that looks more appealing. Television Title Sequence: Most of the television title sequences are made using motion graphics. Visuals mixed with typography put life into your title sequence. Explainer Video: It helps to present a complex topic by breaking it into steps using graphic motion to show the complete story. Being the storytelling video, it attracts more audience. UI Animations: It is used to provide effects during the transition to your website. You can add animations to your website menu. UI animations are used in the marketing of products. Icons: You can use the hovering of the mouse to trigger the animating icons. It looks attractive to visitors. Moreover, it is programmed in a small file that will not affect the loading speed of your website. Logos: Motion graphics can add motion to your static logos that make it dynamic. The animated logo adds value to your company. Short Films: Motion graphics are made by using simple shapes and object elements. Hence it is widely used in making short films. 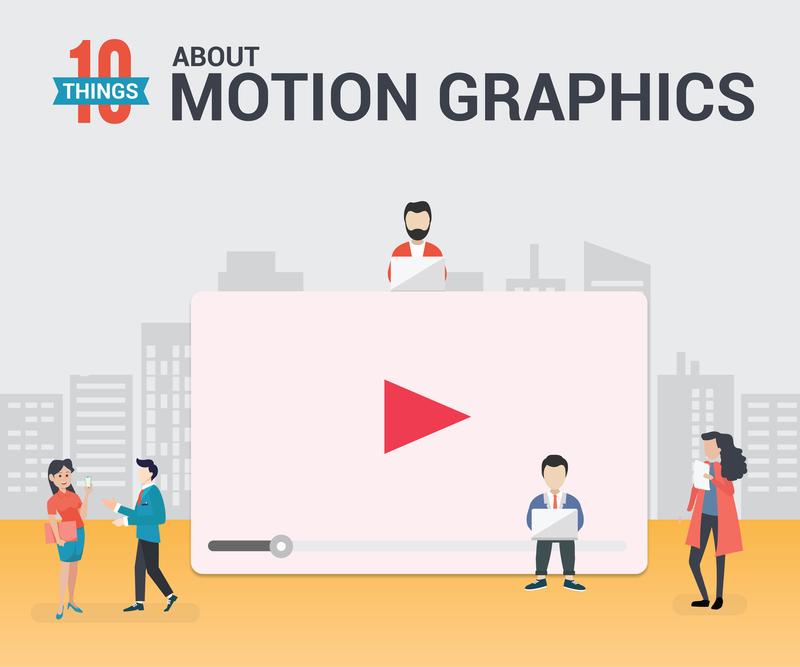 You have seen many videos on social media that are made with the help of motion graphics. Motion graphics help companies, movie makers, animators to present their product more attractively. It is in demand to deliver best out of the competition.